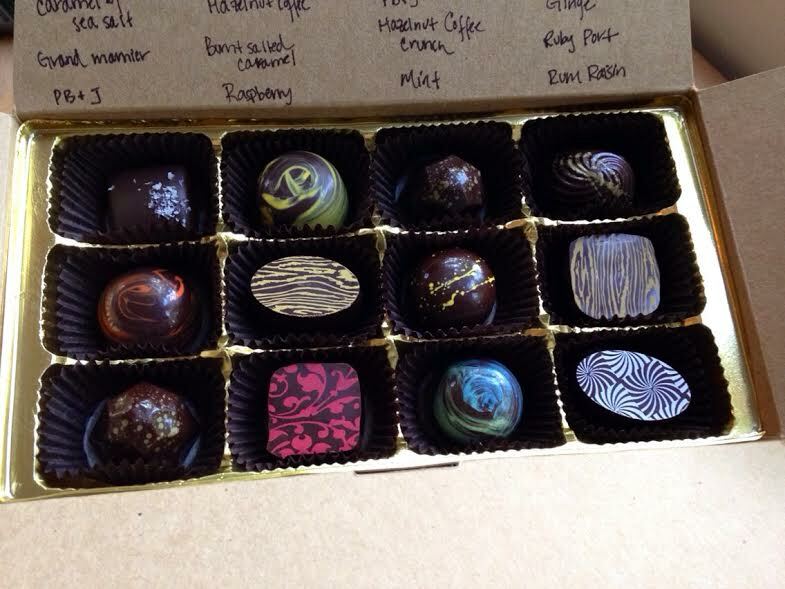 *BOURBON: dark and milk chocolate ganache infused with Bourbon in a dark chocolate shell. 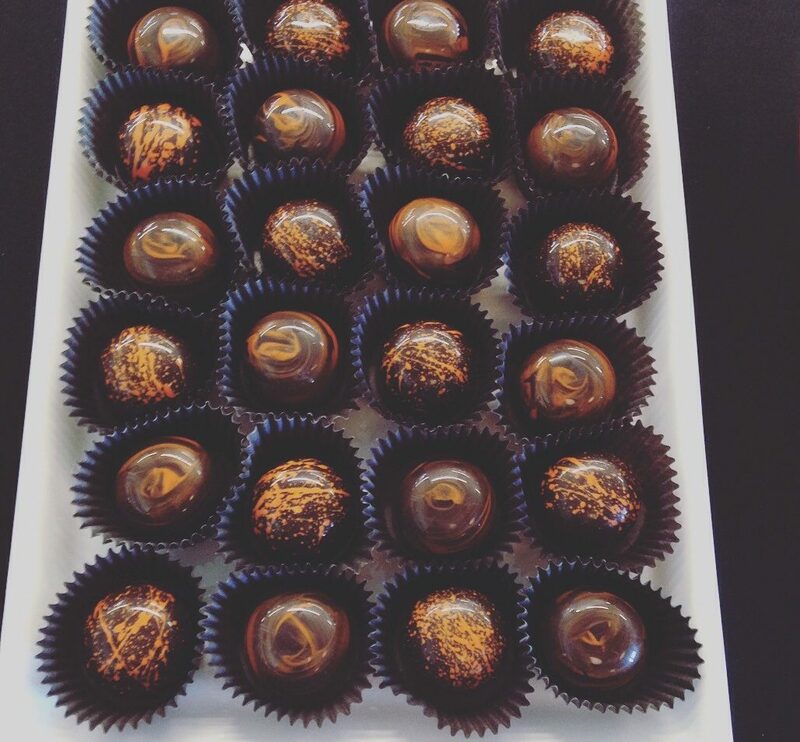 *BURNT SALTED CARAMEL: milk chocolate ganache composed of a burnt caramel that is mixed with luscious milk chocolate and finished with salted butter in a dark chocolate shell. *PASSION FRUIT: milk chocolate ganache that that is infused with passion fruit puree and finished in a dark chocolate shell. *PB+J: organic strawberry jam and natural peanut butter mixed with milk chocolate and finished in dark chocolate.